Bova Diamonds sells engagement rings Dallas of all styles and kinds. We can also help you create the ring of your dreams with our hands on custom ring design services. To help you make a choice, we recommend the following options. 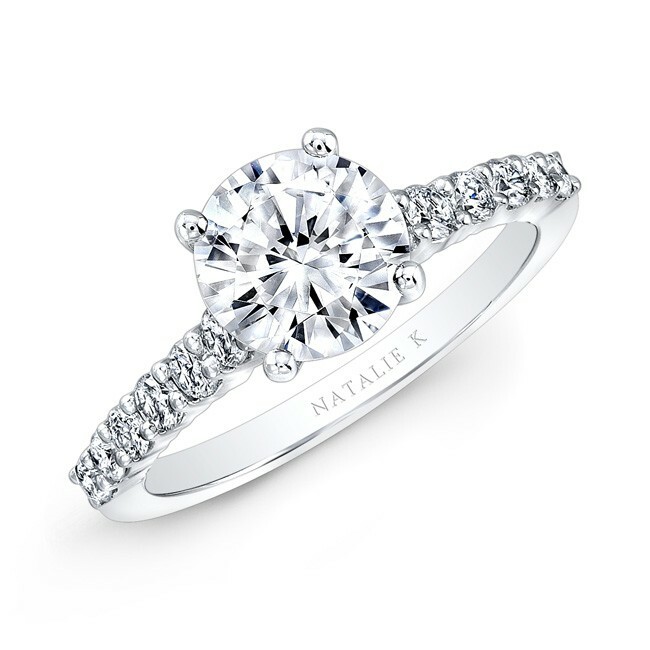 The go-to for engagement rings, the Round cut center stone shape. 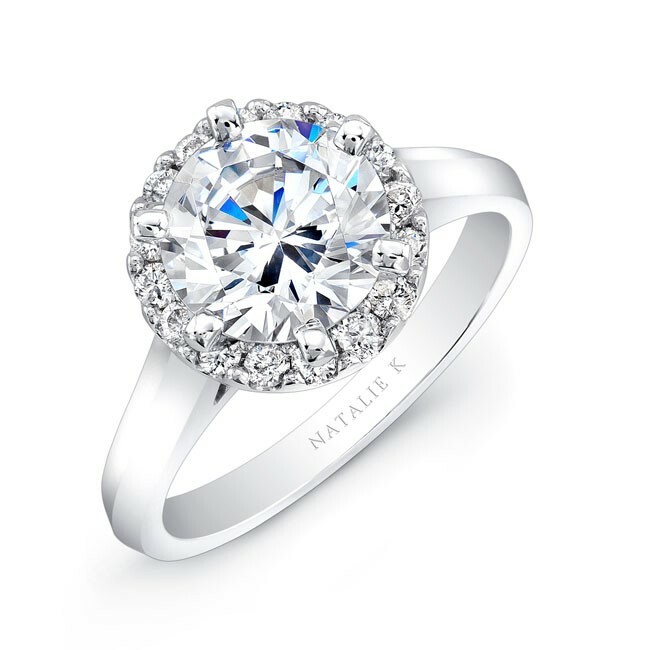 This timeless shape features a round diamond or a beautiful gemstone. The round cut center stone can be paired with any side stones to make a stunning custom designed ring. Bova Diamonds – The best engagement rings Dallas has to offer! 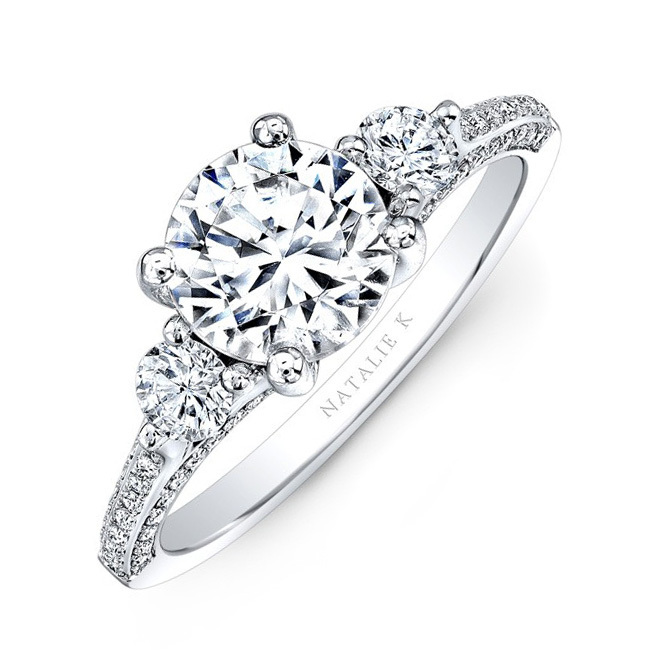 The three stone engagement ring is an alternative to the traditional solitaire setting. The smaller stones surrounding the middle one stone represent the past and future. Alternatively, the three stones also symbolize friendship, love, and fidelity. In addition to popular ring types, we have a collection of vintage inspired engagement rings perfect for those in Dallas, Texas with unique personality. Visit our engagement ring buying guide. If the antique ring doesn’t fit, you can always for the modern and contemporary designed rings. These items have an experimental, non-traditional forms in its design. You can choose a ring with a bezel setting, a thin metal band that embraces the centerpiece down to its girdle. There are also options that forgo the centerpiece diamond and instead focuses on an intricately and beautifully designed band. We also offer engagement rings with gemstone accents. You may feel overwhelmed with so many options to choose from. That is why we recommend that you talk to our jewelers and experts in choosing the perfect ring to surprise her with. Or consider taking your girlfriend with you when choosing the ring. It’s not uncommon to have your girlfriend choose. It is actually the case 60% of the time engagement rings are purchased. No set rules. The choice is up to you. Bova diamonds – The best engagement rings Dallas has to offer! The engagement ring is one of the most important pieces of jewelry that a person will ever own. Choosing the perfect ring can be a daunting task. From budget to design, there are many factors to consider before finding the right one. Now you can have the engagement ring of your dreams without breaking the bank. Bova Diamonds helps you make the right choice through custom ring design services. We offer exquisite engagement rings and will give recommendations based on your budget and preference. With our vast experience in designing jewelry, our suggested engagement rings Dallas is always on point. Three of our most highly-recommended rings are the Round Cut center stone shape, the Halo ring, and the Three Stone Engagement ring. The Round Cut center stone is a classic shape which is stunning when paired with any side stone. We currently have 73 beautiful round cut designs that customers can choose from. The glamorous Halo ring sets the diamond higher, highlighting its sparkle and making it look larger. Customers have 44 Halo designs to choose from. The three diamonds in the Three Stone ring symbolize friendship, love, and fidelity. Our 8 Three Stone ring designs come in 18K or 14K diamonds. Another popular diamond shape for ladies is the Princess Cut. The 13 Princess Cut designs in our collection are all so gorgeous that it’s hard to choose the best one. If you are looking for more options, we also have a collection of unique vintage-inspired rings. Some customers even forego the usual centerpiece diamond design and focus on an intricately-designed band. We also have items that cater to individuals who prefer non-traditional ring design. If you have a one-of-a-kind ring in mind, the professional and courteous staff of Bova Diamonds will assist you in crafting your own unique design, and our expert craftsmen will turn your ideas into reality. We will be there to assist you in each step of the way. Just as you are showing your commitment to your loved one through an engagement ring, Bova Diamonds is also committed to its customers having the best piece of jewelry that their money could buy. Special financing is available for couples who opt for a deferred payment scheme. We understand that this is an important time in our customer’s life, and we want to ease the stress as much as possible. Call us (214) 744-7668 and book an appointment today!